Those of us interested in exploring the myriad free courses available online will appreciate the work being done at P2PU. It’s perhaps a funny name when you first say it out loud, but P2PU's approach and original learning content are for real. You may have guessed what the name stands for: peer to peer university. P2PU's model is innovative. Their idea is that taking an online course should be more like learning on the job than taking a traditional class. Their approach encourages people to work together on projects—whether learning computing programming or something else—and to assess one another’s work with constructive feedback. Users can design their own courses with help from P2PU. Course design is broken down into discrete steps and course content is vetted by peer users and P2PU staff. Courses are hands-on and super varied. One course lets users take a hack at designing their own big game—the kind that gets adults out in the streets defending a fountain or hiding treasures under bus stop benches. Another courses lays out the steps for making a music video. Fifteen other people are already taking the challenge. Two have completed it and four mentors have offered their help. One of the most popular courses is about writing for the web. The comments sections for each step are lively and filled with links to real blogs. Participants in this course share their writing and opinions about what makes for good web writing. One of the site’s other well-subscribed courses teaches participants how to program using the Twitter API. P2PU breaks the challenge down into nine steps (the first of which is to introduce yourself to others already taking the course). Participants proceed at their own pace and can reach out for help to other students, mentors and P2PU staff along the way. Not all of the courses focus on new technologies. Always useful and never out-of-date, this course is a perfect fit for number noobs. 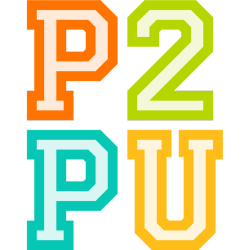 You can find a list of P2Pu’s new courses here. And while you’ve got your thinking cap on, don’t forget our big list of 500 Free Online Courses. Kate Rix is an Oakland-based freelance writer. See more of her work at .